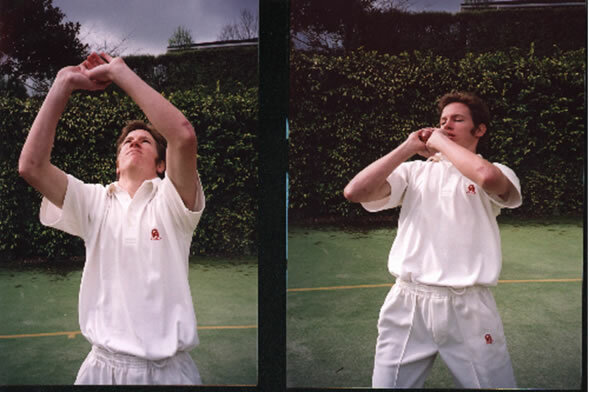 Throughout my time as a cricketer I have seen many different styles and techniques when catching a cricket ball. Different types of catches mean a fielder will call upon a different catching technique. For a high catch, use the “reverse cup” method. Attempt to catch at eye-level and keep your hand high. Watch the ball the whole time until it hits your hands. The correct technique is shown below. When taking a catch at body level, the “orthodox cup” is to be used. Aim to catch at the base of your fingers with both these methods. This allows the ball to “give” and not pop out upon impact. Bring the ball into your body. Slip catching requires different skills also. 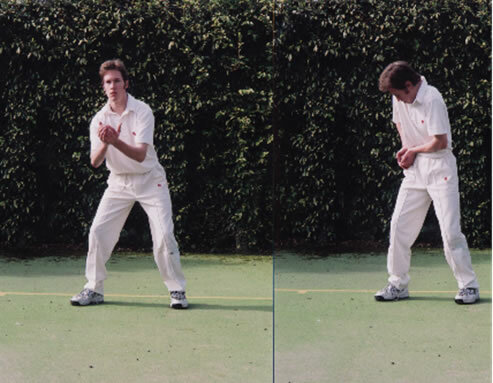 Many international players have different ways of catching while in the slip cordon. Stephen Fleming rests his hands on his knees just before the ball is bowled, while others had their hands open as if taking a catch. There is no correct or certain way to catch in the slips; it is simply a matter of personal preference. What I will stress is to bend your knees slightly and just like other fielding positions, anticipation is very important.